Giles Kirkland - There is no better way to experience a country than to take a road trip, getting out onto the open road and traveling between areas of interest with your select companions. 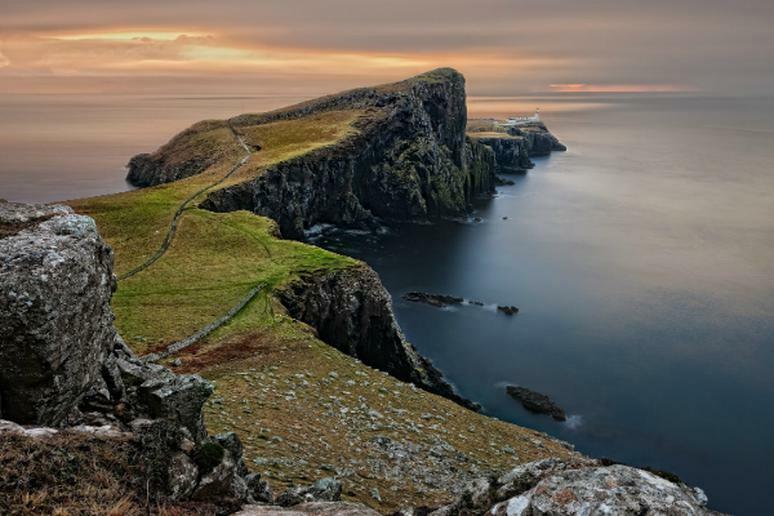 Never is this truer than when visiting the U.K., given the relatively small nature of the island, it is fantastic to explore by car as you can cram a lot of stops into a fairly short trip. Not only this, but with some of the most beautiful countryside in the world, taking to the road gives you the chance to experience this beauty in the comfort of your own vehicle. Here is a look at five of the most beautiful and breath-taking areas to take road trips and what to do on them. The Brecon Beacons in Wales is arguably one of the most stunning and fun to drive areas in the country. The area is most famous for its rolling hills and mountains as well as the part it plays in the grueling selection process for one of the most elite fighting forces in the world, the SAS. Although this test of steel takes place on one of the Beacons peaks, Pen-Y-Fan, the mountain is actually a must visit and climb for those driving through the area. Another must do in the area is the mystical ruins of the Carreg Cennen Castle. One of the country’s most dazzling examples of a castle, it also has a cave that can be explored as part of the visit, remember a torch, although you can rent one on site. With caves in mind the final attraction that is a must are the series of caves at Dan yr Ogof that start where the river Llynfell emerges from the mountain and stretches 6 km back. Located in the heart of England, the peak district is characterized by its steep limestone valleys, dramatic gritstone ridges and sparse moorland. Because this ravishing area is frequently visited by tourist both domestic and foreign, it also boasts a number of attractions. As long as you take care of your vehicle and don’t forget about summer car maintenance to avoid unpleasant surprises on the road, it can be a breathtaking and enjoyable experience. For the active amongst us, it is a good idea to park up the car and take to foot. The Monsal Trails lets you take in some of the most striking scenery the area has to offer and its most spectacular limestones dales. The trail has been developed as a carless track so is accessible by foot, bicycle or horseback. Similarly, the Dovedale area of the Peak District provides some great walking trails, with stepping stones across the River Dove – but mind your footing! Covering six of the U.K.’s most beautiful counties, the Cotswolds are located in south-central England and hosts a number of attractions that will make any road trip there a killer one. Touching on charming cities such as Bath and Oxford this area is packed full of luxurious and historical sites to visit and see. However, to get a true sense of the area diving, parking, walking or running across the 100-mile Cotswold Way will get your heart racing and will take your breath away. Finishing in the city of Bath gives you the opportunity to take in the sites such as Bath Abbey, the Royal Crescent or the Jane Austen Centre. The Lake District is the weekend destination for the active and adrenaline seeking population of much of the U.K. Based in Cumbria in the north-west of England a road trip to and through this area is great fun. It’s best to find a qualified guide to take you out climbing or scrambling in the area. You can also take on other pursuits such as canoeing and kayaking and cycling, these vary in their difficulty and extremity, so does your research before going. The North Coast 500 is quickly becoming one of the most popular road trips in the U.K. and for good reason. Cutting through some of the most beautiful landscape in the whole of the United Kingdom, this route through Scotland takes you to some of the wildest sites around. Stop stopping off at Apple Cross and trying out some sea kayaking to experience the coast from a different perspective. Parking up and getting up the lovely view with rock climbing and hill walking is a brilliant way to get above it all and clear your head. There are some excellent areas to road trip around in the U.K. for the adventurous and active travelers. With awesome opportunities with everything from kayaking to hill walking and rock climbing there is something to entice everyone with any sense of adventure or ability.